The stock, which closed at 48.40 on October 25, rose 100% to 96.10 level in trade today. 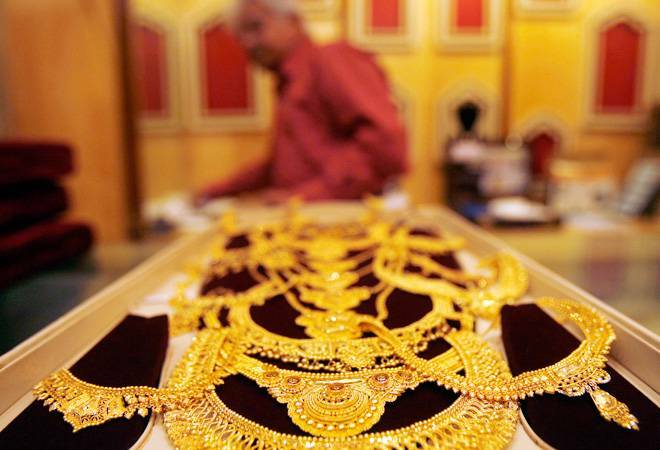 The PC Jeweller stock has doubled during the last seven sessions on rising demand for gold and silver amid the ongoing festive season. The stock which closed at 48.40 on October 25 rose 100% to 96.10 level in trade today. Intra day, the stock hit a high of 100.05 level on the BSE. Despite the record surge in the past sessions, the small cap stock is still down 79.01% since the beginning of this year and has lost 72.82% during the last one year. The jewellery stock opened with a gain of 4.86% and touched an intra day high of 100.05 level or 13.18% in trade today. Net sales in June quarter rose 14.38% to Rs 2,423.21 crore compared to Rs 2,118.54 crore in the corresponding period of last fiscal. Net profit rose 6.11% in Q1 to Rs 141.93 crore compared to Rs 135.82 crore in the corresponding quarter of last fiscal. The stock has seen uncertainty since the beginning of this year due to issues such as withdrawal of equity shares buyback offer, considerable stake sale by a fund and a promoter and speculation on hiding of business a business relationship with e-governance service provider Vakrangee, a company, which according to reports came under Sebi's scanner for alleged price and volume manipulations of its own stock on BSE and NSE. On July 16, the stock closed 25.89% or 31 points lower at 88.90 level on the BSE after the firm withdrew its buyback offer. On May 10, 2018, the PC Jeweller board announced a share buyback worth Rs 424 crore, at a price of Rs 350 per unit, 67 percent higher than the closing price of Rs 209 on previous day. On May 3, the stock hit its 52-week low of 95.05 after falling 14% intra day. The stock fell to new yearly lows amid news that FMR LLC, a fund managed by Fidelity International on April 30, sold over 1.3 crore shares of PC Jeweller through open market transaction. Before the share sale, the stock was hit by two issues. First, there was speculation that the company's promoters might have held back information on a business relationship with e-governance service provider Vakrangee, a company, which according to reports came under Sebi's scanner for alleged price and volume manipulations of its own stock on BSE and NSE. However, Vakrangee on February 3 clarified that rumours of involvement of company in price and volume manipulation were completely baseless and factually incorrect. On January 25, 2018, Vakrangee bought 20 lakh shares of PC Jeweller at Rs 561.71 on NSE. Secondly, according to reports, PC Jewellers promoter Padam Chand Gupta gifted some his stake to family members via off -market transactions. Even as the firm has said it would make requisite disclosures in this regard from time to time, there are fears about more such deals taking place in the future. PC Jeweller is engaged in the business of manufacture, retail and export of jewellery. The firm offers a range of products including 100% hallmarked gold jewellery, certified diamond jewellery and other jewellery, including silver articles, with a focus on diamond jewellery and jewellery for weddings. Established in 2005, PC Jeweller is the second-largest listed jewellery retailer in India.